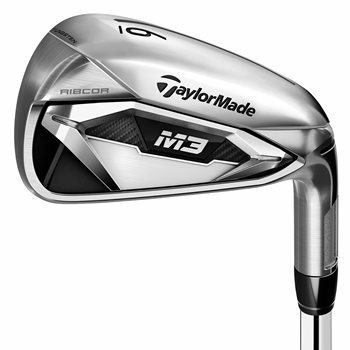 The TaylorMade M3 irons offer distance, forgiveness, and control for the serious golfer. RibCOR technology localizes face flexibility in the hitting area, transferring more energy to the ball to increase distance and forgiveness as well as stiffens the perimeter of the head creating a more rigid structure for better sound and feel. Face Slots enhance face flexibility in the heel and toe areas to preserve ball speed on miss-hits for greater consistency. Review by Excellent!, 29 days ago. Would you be willing to sell a single 3-iron from the set? Unfortunately, we are unable to split up sets to sell individual clubs. Can I trade my current iron set in on these? You can visit our trade in center here: https://www.3balls.com/trade-in/ to see what the trade in value for your irons would be.